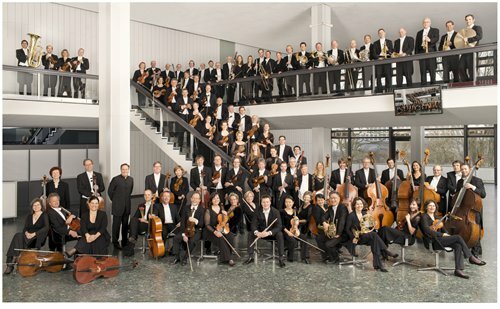 On Friday, the Deutsche Radio Philharmonie Saarbrücken Kaiserslautern will premiere my music piece entitled Gene and Astrology Series No.6 -Aquarius-Hulan River in Saarbrücken, Germany. This is a piece devoted to Professor Theo Brandmueller, my mentor when I studied composition in Germany. Why have I included the Hulan River in the title? The river is a tributary of the Songhua River, which finally converges into the great Heilong River in Northeast China. I was born in Liaoning Province which also in Northeast China. The region is also the home of celebrated Chinese novelist Xiao Hong (1911-42), who also titled her autobiographic novel The Hulan River. In the preface to the novel, Chinese author Mao Dun (1896-1981) praised the book's idyllic style, saying it was like a folk painting or a series of sentimental ballads. Years ago when I read her book for the very first time, the feelings Hong's words and sentences incited washed over me from head to toe as she wrote of her longing for home. Her unique writing motivated me to compose this poetic music piece. This orchestra is the sixth piece of a series of my work that will ultimately include a total of 24 pieces. Additionally, I am preparing to compose a double concerto for accordion, the Chinese reed instrument known as the sheng and a large orchestra. This will also be included in the series. The accordion and the sheng are similar instruments from Germany and China respectively as they both produce sound using a reed. In my mind, a reed is tightly associated with vibration, and vibration is associated with breath, breath with life, life with blood, blood with one's roots, and one's roots with one's homeland. Where is one's homeland? According to German philosopher Martin Heidegger (1889-1976), it is only possible to find one's homeland by traveling to foreign lands, just like Hong and I have done. I therefore decided to echo Hong's dramatic writing with an orchestra piece. Everyone has a destiny. Even a blade of grass or a grain of sand is slave to the pulse of seasonal changes. Like the clear water bursting from a spring or that in a running stream rushing toward the ocean, my composition is devoted to the great rivers of my homeland. The word gene is from ancient Greek. It is related to the word "genesis" which means origin. In biology, a gene refers to a DNA fragment that carries the information that control certain traits, and thus is the primary genetic unit of all people. People merge together to become communities, and communities combine to form society. Society is an entanglement of cultures, languages and conventions. The present time is a global era, distinct from any past time in human history. Multidisciplinary, cross-field and artistic collaboration are the products of the spirit of this era. This is especially obvious when it comes to art. However, there are great challenges in front of us about how to maintain the unique identity of a person or a society while embracing the benefits the global era bring to us all. In my mind, it is a particularly meaningful question considering the political unrest taking place all over the world. I believe that cultural differences are not the cause of hostility. Rather I feel differences are the driving force that attracts heterogeneous counterparts. Of course, interactions are naturally accompanied by misunderstandings. Sometimes these misunderstandings lead to conflict. However, there are also some misunderstandings that generate positive results. This is why we must continue to interact. In my opinion, the human race today needs to depend on each other for survival more than ever before in history. The dream of prosperity for any nation can only be realized through the transformation into a global symbiosis. Therefore, what is crucial for our society today is the creation of an atmosphere of diversity in which we actively deal with otherness with an open and tolerant attitude. In the digital era of the 21st century, the communal destiny of the human race will undoubtedly become a reality. Global events impact every single human being no matter where they may be. Based on the observation of how a generation of super-culture is created by aggregating sources of individual cultures, it is the obligation of every global citizen and the responsibility of humanists and artists to point out and help establish the knowledge system of the super-culture that will be the basis for global society in the 21st century. 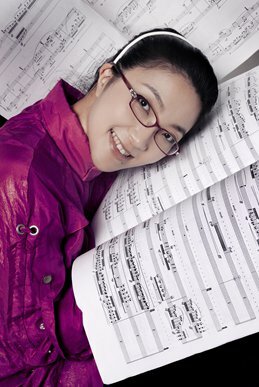 Lin Wang is a US-based Chinese composer, pianist, singer and writer. Her music explores the relationships between individuals, and between man, nature, the world and religion.